Why are you getting so many calls? Odds are, many of the calls you're getting are from scammers. Here's how to stop unwanted calls. Share these with your friends and followers. 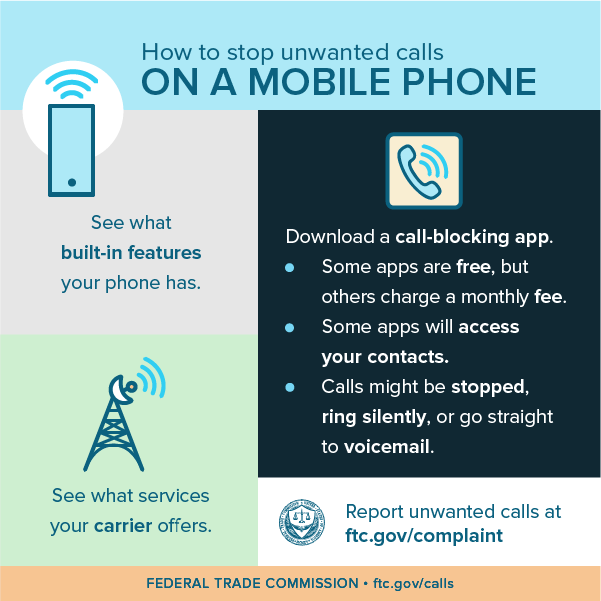 This is a free service provided by the Federal Trade Commission.